Dubai: Saudi businesswomen are more likely to be the sole owners of their businesses than their Arab counterparts, and they are much more educated than their comrades in the workforce, a recently published study on businesswomen in Saudi Arabia concluded. The study further highlighted the well-acknowledged perception that Saudi businesswomen face different challenges from those facing their counterparts in many Arab countries because of social and cultural reasons. 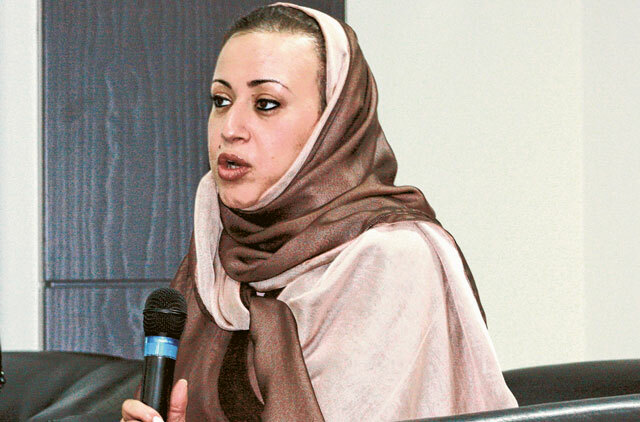 With personal wealth estimated at 65 billion Saudi riyals (Dh63.64 billion, or $17.33 billion), Saudi women have a great potential to play a major role in their country's economic development, noted Saudi businesswoman Samia Al Edrisi, CEO of Eastern Forum Company Ltd for Advancement and Development. "If we don't seize this opportunity, we will miss it," Al Edrisi told Gulf News in reference to the current leadership's inclination to encourage women's participation in economy-building and in the workforce. "We don't have too many — businesswomen and women constitute only 14 per cent of the kingdom's workforce," Basmah Omair, General Manager of Al Sayedah Khadijah Bint Khuwailid Businesswomen Centre at the Jeddah Chamber of Commerce and Industry, told Gulf News. Al Edrisi and Omair were sharing their views on the sidelines of a panel discussion at the Dubai School of Government on Wednesday evening during which the study on Saudi businesswomen was distributed in the presence of several prominent business figures from both Saudi Arabia and the UAE. The study aims to shed light on the business and regulatory environment for Saudi Arabia's businesswomen, besides identifying and addressing challenges they are facing. "With respect to Saudi businesswomen themselves, three main finding emerge," noted the study. Saudi businesswomen are "significantly more likely to be the sole owners of their business than are Mena [Middle East and North Africa] businesswomen. Secondly, they don't personally spend as much time as their regional peers in the daily hands-on management of their businesses. Finally, Saudi businesswomen are a more highly-educated group than the general Saudi workforce: 58 per cent of businesswomen have pursued a postsecondary degree, which three out of ten were completed abroad. Comparatively, only 21.3 per cent of the general Saudi workforce has a postsecondary degree, according to the ministry of economy and planning in 2004." Titled ‘Businesswomen in Saudi Arabia — characteristics, challenges and Aspirations in a Regional Context', the study surveyed 202 registered businesswomen and 62 unregistered businesswomen with varying levels of experience in Jeddah, Riyadh and the Eastern Province (Dammam and Al Khobar). Results were compared across five Arab countries: Bahrain, Jordan, Lebanon, Tunisia and the UAE through the use of a set of common questions published in 2007 by a jointly published report by the International Finance Corporation (IFC) and the Centre of Arab Women for Training and Research. At the same time, challenges facing Saudi businesswomen include "gender-specific obstacles in the regulatory environment, the limited access to and use of formal capital and financing mechanism, [and] the need for increased integration of sophisticated marketing and technology tools into business operations and greater availability of key support services". Yet, Saudi businesswomen have a positive vision towards the future, said the study. "69.3 per cent [of Saudi businesswomen] were very optimistic about the future outlook of their businesses and a majority expressed their determination to expand their business rather than main current levels, either through domestic expansion or regional and international market entry," said the study, jointly conducted by Al Sayedah Khadijah Bint Khuwalid Businesswomen Centre at the Jeddah Chamber of Commerce and Industry and Monitor Group, a consultancy firm based in Riyadh and Dubai. According to the study, 72.6 per cent of the registered female-owned businesses operate outside their homes, and 92 per cent have paid employees. However, Saudi women are less likely than businesswomen in other GCC in being involved in international trade, "with only 21.3 per cent engaged in either import, export or both activities". "Don't wait for blue skies to be young entrepreneur," was the advice of Shaikh Hussain al Banawi, Chairman and CEO of Saudi-based Banawi Industrial Group, to Saudi women. "Businesses wherever they are, speak one language, which is the language of numbers. You make sure you understand numbers," Banawi added. Al Edrisi recalled how some women had struggled to read bank statements in the past. "Nearly 65 per cent of Saudi population is under the age of 25 years old, and the young generation can read numbers in a jiffy." The importance of networking was also among the topics discussed. "It is one of the most important things that we are not really realising the value of," prominent UAE businesswomen Farida Kamber Awadi said. Commission further research on how to increase the effectiveness of businesswomen's access to government services by improving female sections as well as the main center in government agencies. Ease hiring practices for businesswomen in areas that require international female expertise or that is unable to be met Saudi female labor. This includes studying the possibility of granting work permits to non-Saudi women residing in Saudi Arabia on non-work visas. Provide practical courses and workshops for businesswomen to improve their knowledge.